I've been a Londoner for over a decade. 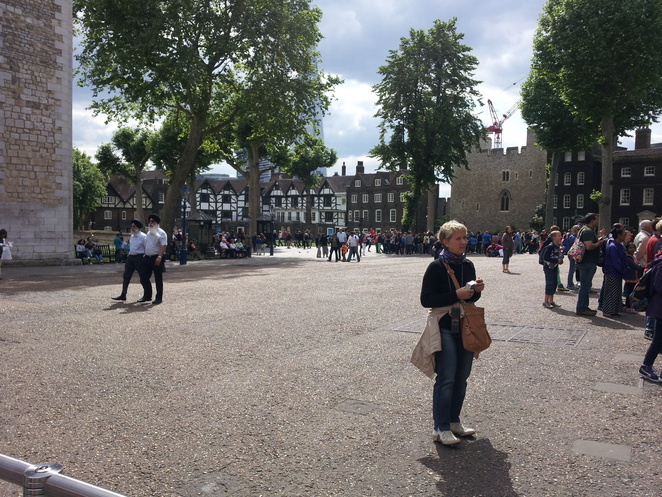 That's a decades worth of opportunity to visit the Tower of London. A decades worth of opportunity that I didn't use...until now. Yes, it's a little more pricey than I would have liked but it was worth it, especially if you're a fan of Richard III...well, not a fan of him per say, more a fan of his story. Is the view that the two princes would have seen from the bell tower? Apart from all the 'who killed who and where' history there are those famous crown jewels: Big sparkly rocks sourced from all over the world sitting in a vault with a conveyor belt thrown in to keep the crowd moving past the Koh-i-Noor diamond. Be warned, the queue for the crown jewels is longer than it looks from the outside...and it looks long from the outside. When you finally get into the building where no photography is allowed, you realise that you have a few more rooms to queue through, all complete with pictures,words and booming archaic music. Don't let this stop you. If, like me, gigantasaurus diamonds leave you speechless, then the crown jewels are not to be missed!